Diana Ross knew what she was talking about when she sang her song, ‘Chain Reaction’ because she was obviously talking about chocolate (okay, that isn’t really true. Don’t quote us on that). There’s a common misconception that chocolate is bad for you and in reality, that’s only partly true. Sure, most companies now add heck loads of sugar and artificial colors which aren’t too great, but chocolate also contains over 300 chemicals that are all natural. These chemicals all affect our brain and body in different ways, which can then affect our mood and make us feel better. Don’t worry if you’ve never heard of Phenylethylamine before; it is very sciencey. However, you may have heard of the ‘love drug’ which is what it is sometimes called. Phenylethylamine is a funny chemical because it arouses all of the same properties as the feeling of being in love (which means we’re basically in love with chocolate. Makes sense) including a quickened heart and pulse rate, alertness and excitement. And all of these feelings make us feel pretty darn happy. Thanks, chocolate! Yep, there’s ANOTHER chemical in chocolate that makes us feel scrum-diddly-umptious. We’ll be honest, this really isn’t helping our need for chocolate right now. Chocolate is full of Tryptophan which aids the release of the neurotransmitter, serotonin. If you don’t already know, serotonin is the main player in lifting your mood. It’s all science, baby. As if you need any more reason to stock your fridge or cupboard (the chocolate storing debate continues) with bars and bars of chocolate, you’ve now got another one! 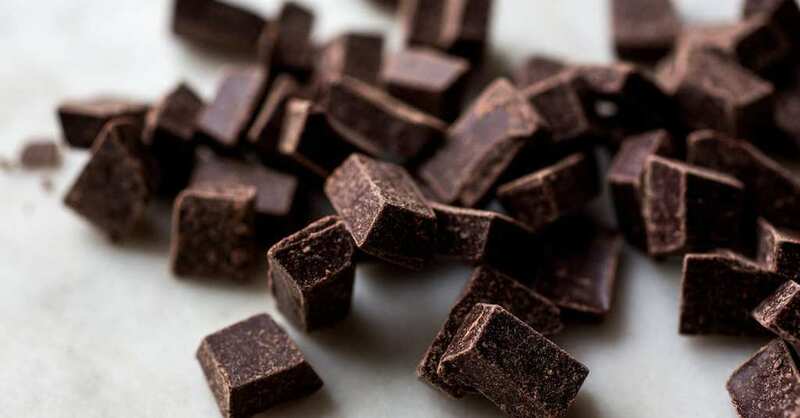 Chocolate is also chock-full of Anandamide, a name which comes from the Sanskrit for ‘bliss.’ So you can kinda guess this chemical won’t make you break down and cry (except for a good reason). Anandamide actually stimulates the same receptor in the brain as THC, which gives you the same feeling of being ‘high’ – although you will get a very different kind of high from chocolate. Ultimately, this chemical increases the production and release of dopamine in the brain, which will ultimately make you feel happier. 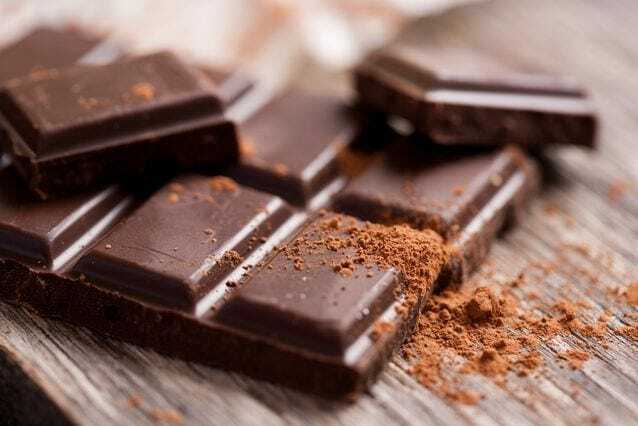 Although you might not enjoy it while you’re sweating profusely and struggling to breathe, working out actually produces endorphins that stimulate the brain and make you feel happier – and chocolate does exactly the same. So now you have the big decision: exercise or binge eat chocolate? Tough one. Endorphins do not only make your feel happier, but they can also reduce your feelings of pain and stress.